Sharon Bell Mathis has written many books for children and young adults and received many accolades in her career. Her book Ray Charles, a nonfiction biography of Ray Charles, received the Coretta Scott King Award. 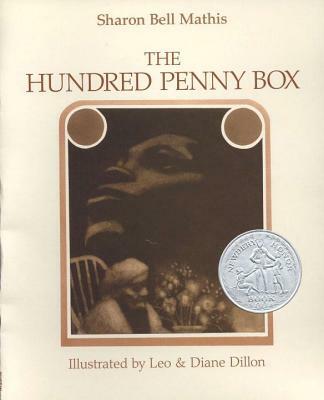 The Hundred Penny Box received a Newbery Honor Award and is a recipient of the Boston Globe-Horn Book Award and also a American Library Association Notable Children's Book, and Teacup Full of Roses was a New York Times Outstanding Book of the Year. Leo Dillon was born to Trinidadian parents in New York in 1933. He met his future wife, Diane, when they were both studying at the Parsons School of Design in New York in 1953. They married in 1957 and became an iconic artistic duo. Leo and Diane collaborated on covers and woodcuts for a number of Harlan Ellison books; in 1981, Ellison edited a biography of them entitled The Art of Leo & Diane Dillon. Leo and Diane are the only illustrators to win the Caldecott Medal two years in a row, which they did in 1976 and 1977. They produced more than 100 speculative book and magazine covers together. Leo Dillon passed away in 2012.